Jcare Medical Cover is a medical insurance product that Jubilee Insurance Company provides to cater for both individuals and families health risks. 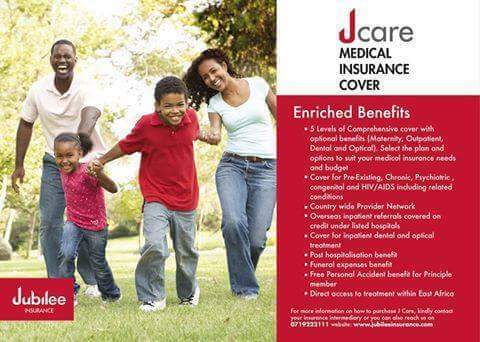 Jcare,is a medical insurance cover that was first intended to cater for inpatient cases initially. 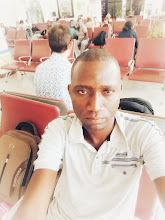 Today, the insurer added optional cases that the insured can ask for like personal accident cover benefits, outpatient cover,maternity cover,dental and optical cover and last expense cover. Jcare is for all.The insurance policy covers individuals and family members of ages between one month to sixty years. Inpatient cover- a family will pay between kes500000 and kes5000000 per annum. Last Expense cover- a person will pay between kes50000 and kes100000 per year. Personal Accident cover- a person will pay kes500000 per year.